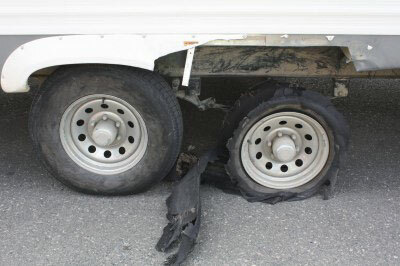 Get the Right Tires to Eliminate Trailer Blowouts! 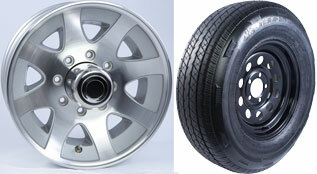 Choose a tire and wheel combination that equals your trailer's GVWR. This will give you a 20 percent minimum reserve load capacity. To understand "Reserve Load Capacity," you need look no further than the vehicle in your driveway. Did you ever wonder why we have very few tire issues with our passenger cars, SUV's and light trucks, yet our trailer tires are a constant worry? The vehicles we drive every day have a 20-30 percent reserve load capacity, yet our trailers are running 90 percent + loaded all the time. So, if we want the type of safety and reliability out of our trailer tires that we have in our passenger vehicles, we first need to achieve a similar 20-30 percent reserve load capacity. 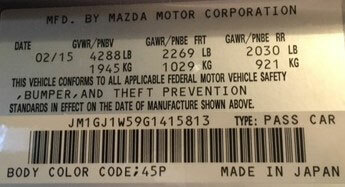 2016 Mazda 6 has a GVWR of 4,288 lbs The tire is a P225/45R19 92W with a load capacity of 1,389 lbs per tire or a total of 5,556 lbs or 77 percent loaded at GVWR. A 23 percent reserve load capacity at GVWR. This vehicle has a curb weight of 3,130 lbs or 1,158 lbs of cargo capacity. How do I determine how much additional capacity I need on my 5th wheel trailer? Your GVWR should be on a tag on the trailer near the tire information tag. 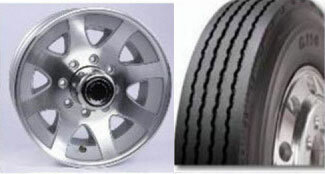 Simply take your GVWR (Target weight) ÷ 4 tires = Target load per tire. Example (14,500 lb. 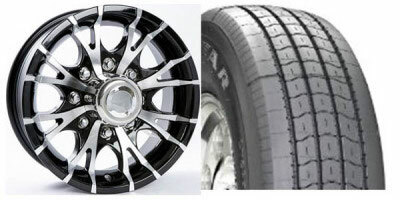 GVWR): 14,500 lbs ÷ 4 tires = 3,625 lbs target per tire load capacity. Remember, we want a 20% reserve load capacity so, we do not deduct the 20% pin weight. In this example we have a 2012 Redwood 36RL that was Smart Weighed, with a 15,500 lb. GVWR. 3,300 lbs x 120% = 3,960 lbs would be your target per tire load capacity. Find the corresponding target load & tire in this chart. Compare the overall diameter (O.D.) of your current tire to your new tire. Note: Also available in black. Contact us for more information! 6 or 8 Lug, 9/16" or 1/2" studs.